Happy Teachers Change the World is the first official, authoritative guide to the Thich Nhat Hanh/Plum Village approach to mindfulness in education. Spanning the whole range of schools and grade levels, from preschool through higher education, the teachings, guidance, practices, and techniques are grounded in the everyday world of schools, colleges, and universities. Beginning firmly with teachers and all those working with students, including administrators, counselors, and other personnel, the Plum Village approach stresses that educators must first establish their own mindfulness practice since everything they do in the classroom will be based on that foundation. 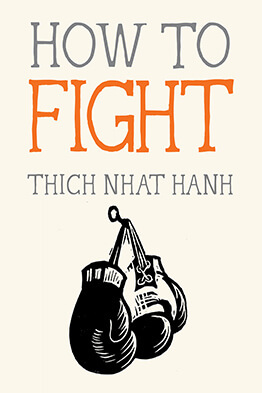 The book includes inspirational guidance by Thich Nhat Hanh and evidence-based educational guidance by Katherine Weare. There are easy-to-follow, step-by-step techniques, guidelines, and instructions perfected by educators to teach themselves and to apply to their work with students and colleagues, along with inspirational stories of the ways in which teachers have made mindfulness practice alive and relevant for themselves and their students across the school and out into the community. The instructions in Happy Teachers Change the World are offered as basic practices taught by Thich Nhat Hanh, followed by guidance from educators using these practices in their classrooms, with ample in-class interpretations, activities, tips, and instructions. Woven throughout are stories from members of the Plum Village community around the world who are applying these teachings in their own lives and educational contexts. Katherine Weare is Professor at the University of Southampton and the University of Exeter. She is internationally known for her writing, speaking, research, and development work on mindfulness and compassion for children and young people and those who care for them. Since 2000 she has advised the English government's Department for Children, Schools, and Families on policy in the area of social and emotional learning. She is an honorary member of the Society of Public Health Medicine, and a board member of the international network INTERCAMHS (International Alliance for Child and Mental Health in Schools). She also serves on the editorial boards of several mental health journals. She is author of Developing the Emotionally Literate School and Promoting Mental, Emotional and Social Health: A Whole School Approach. Learn how to relax the bonds of anger, attachment, and delusion through mindfulness and kindness toward ourselves and others. A publishing phenomenon in Spain—a moving, lyrical, far-ranging meditation on the deep joys of confronting oneself through silence by a Spanish priest and Zen disciple.